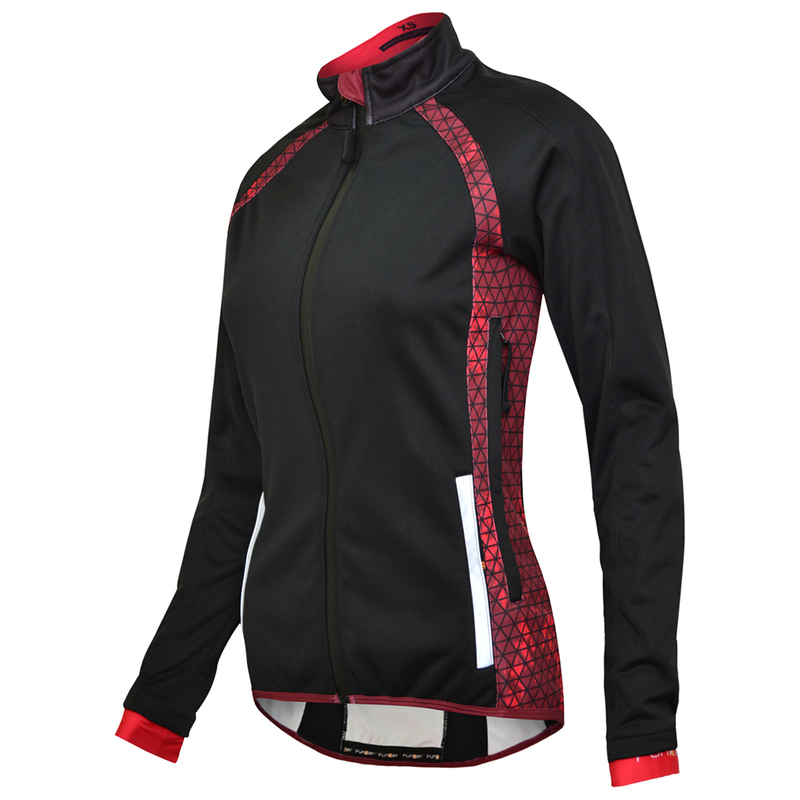 The Funkier Tornado Pro microfleece ladies jacket with TPU membrane is a warm, comfortable and capable jacket that’s ideal for colder rides during the autumn and winter months. With its ergonomic rider-cut, the Tornado Pro ladies jacket has been designed to fit comfortably when you’re in a riding position with shoulders angled forward giving non-restrictive movement across the upper back. The clever TPU breathable membrane is water repellent and windproof and contains microscopic pores, which are a 1000 times smaller than a drop of water, but 100 times bigger than a molecule of moisture vapour created by body heat meaning water droplets cannot penetrate the TPU membrane but moisture vapour can easily escape.